Technology, especially computers, have contributed to the communication and aid in learning for those with autism. 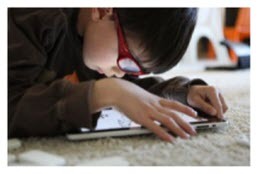 The iPad, like most computers, has proven to be an effective tool for the vast spectrum of autism. This self-study will help you learn how to use the iPad your students and clients in the ACC, speech, language, social skills and behavior arenas. It will introduce you to the many iPad apps that are specifically developed for this population. You will also learn about iPad apps for articulation, behavior training, IEP development and more. Therapists will earn .3 ASHA continued education units (CEUs) for only $20. Register for iPad and Autism: A Match Made in Heaven here.